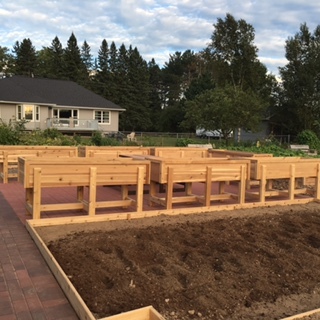 I had the wonderful opportunity to visit the Crandon Community Garden on September 9 during their Open House located near City Hall and Palmer Park. 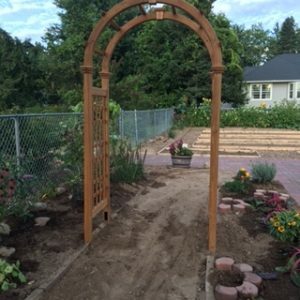 One of our recent Master Gardener training graduates, Jill Krueger, poured her heart and soul in to creating the Crandon Community Garden. 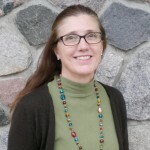 She is Department Head at the Forest County Health Department who plunged right into planning a vegetable garden for the community. 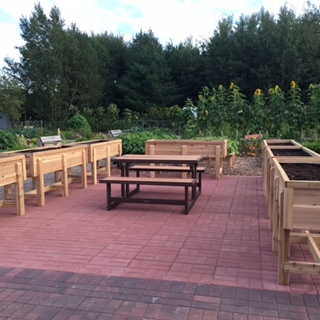 This was a garden revitalization project where a grant was obtained through the Forest County Office on Aging and the Forest County Health Department and the University of Wisconsin-Extension. 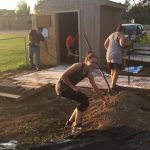 Karly Johnson, Wisconsin Nutrition Education Program Coordinator in Oneida County, and Tammy Queen, Director of the Office on Aging, County wrote the grant. 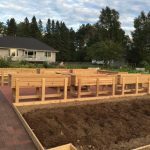 The grant covered the cost of building materials to construct the garden, garden supplies, and the costs to harvest, clean, and prepare produce for consumption. 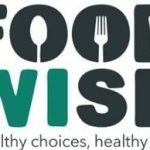 The goal of the grant was to provide healthy eating choices for residents who participate in the Meal Site provided by Forest County. 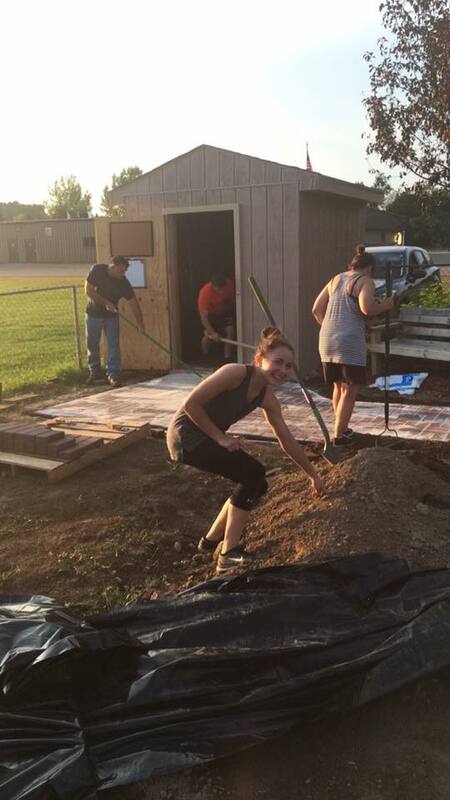 The other incentive was to promote volunteers to participate and get involved in working at the Community Garden. 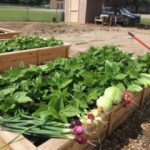 According to Krueger, there has been an increase in both the amount of people utilizing the Meal Site and an enthusiastic response to volunteerism at the garden. 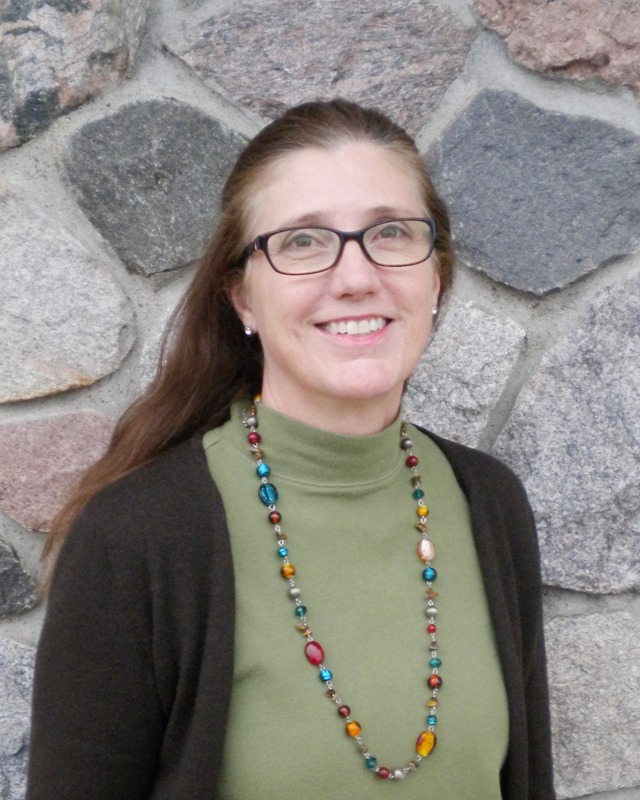 UW-Extension’s Mary Sty of Vilas County was very active in overseeing the garden as well. She me a very informative tour and a short history of how the garden started this Spring to the bountiful harvest I now was taking in first hand. It is truly a dream garden, with healthy productive plants producing much fruit, neatly contained in raised beds and boarded by sunflowers, bee balm and other perennials. There was corn towering over six feet that was being picked and offered to those in the community who visited. I had the privilege of taking three ears of the corn home and it was very sweet and tender. A brick walkway with an arbor are recent additions and a small greenhouse is on the wish list for next year. After touring the garden I was invited to sample the produce from the garden where Meal Site chef, Adam Dewing, prepared a delicious lunch of soups prepared from garden vegetables and home made bread and cookies. The featured soup was potato leek soup, which was creamy and mild enough to be able to pick up the subtle flavor of the leeks. There was also a hearty vegetable soup which included corn, beans, tomatoes, onion, garlic all from the garden. What a treat it was to taste freshly picked vegetables used in this soup. 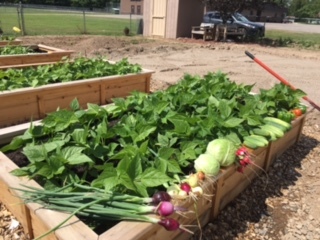 That was part of the incentive behind the grant writing was to encourage people to experience the tasty and nutritious advantage of eating fresh produce from a garden. 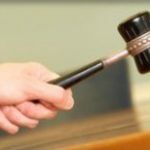 I will recall it longingly by mid-February, no doubt. 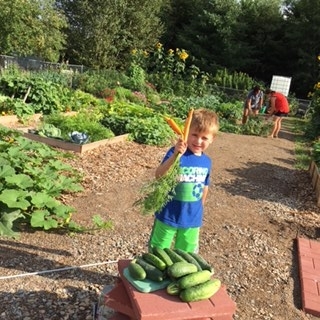 As I left my visit there were several children and their parents picking fresh vegetables from the garden, pulling weeds, and happily running down the garden’s wood chipped paths. It made me feel that all was right in the world for this short and happy hour. Gardening is an amazing pastime that helps all.